CanSpace has been trusted for over 10 years by Canada's largest corporations for providing reliable, affordable, and award-winning web hosting and domain services - all backed by our industry leading support. Remember, your website is the backbone of your business. Websites that are performing slowly, or down frequently, can cost you valuable sales and more importantly cause your customers to lose confidence in your business. Always choose a reputable web hosting provider! Get started with reliable Canadian web hosting instantly! Accounts are activated immediately and our automatic script-installation software makes installing scripts like Wordpress, Joomla, Drupal, osCommerce, and many many others, as simple as clicking a few buttons! As always, all prices are in Canadian dollars. Your website is the key to your business, and at CanSpace we keep your website running at lightning-fast speeds, and with 100% uptime. Our datacenter is staffed 24/7, and our support staff is also available around the clock to deal with any concerns or issues you may have. This is why Canadians choose CanSpace when they are looking for a fast and reliable hosting provider. We're so confident that you'll be satisfied with our web hosting services that we will refund your money if you aren't! All our standard web hosting packages are covered by our 30-day money back guarantee. Easy to install apps are just 1 click away! 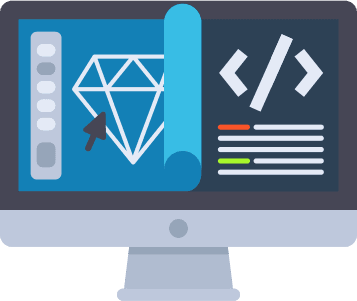 Our free site builder, included with all web hosting plans, lets you get your site up and running with no previous design experience! Never designed a web site before and have no idea how to get started? Not a problem - our web-based site builder lets you start building a website with just a few clicks. Thousands of templates are available to ensure you're able to find one that suits your vision. Features include an incredibly easy-to-follow workflow, social media plugins, and robust content management features which make it easy for even non-programmers to create, market, and maintain a high-end web presence. Adding social media functions is a snap, including Like Buttons, Like Boxes, and Comment Boxes. You can even browse images from FaceBook, create password protected content areas, multi-lingual sites, and much more! Our support team is available 24 hours a day, 7 days a week, to assist with any and all issues you may have. In fact, we strive to answer all support tickets within 10 minutes - even on weekends and holidays. When choosing CanSpace as a web hosting provider, you're choosing high-end web hosting as well as peace of mind. Web hosting downtime can cause customers to lose faith in your business, and cost you money. Choosing a provider simply based on cost can be an absolute nightmare - lost data, sites down for days at a time, and non-existent support. CanSpace has been trusted for years by Canada's largest corporations for offering premium, reliable web hosting. When you choose CanSpace for your company's web hosting needs, you choose security, professionalism and peace of mind. 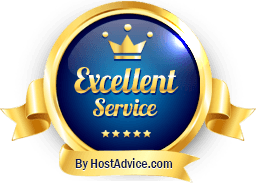 We're so confident that you'll be satisfied with our web hosting services that we will refund your money if you aren't! All our standard web hosting packages are covered by our 30-day, no risk, money back guarantee. Unlike our competitors, we don't offer unrealistic web hosting plans with "unlimited disk space and bandwidth for $1 a month" - leading to slow loading and often inaccessible websites. You will always receive the level of web hosting service and reliability that Canadians have come to expect from CanSpace. We realize your website is the key to your business, and we strive to keep your website running smoothly, quickly, and reliably. Our datacentres are staffed 24/7, and our support staff is available around the clock to deal with any concerns or issues you may have. All web hosting accounts are backed up daily, so in an emergency there is always a method of recovery. Unlike other providers, we allow our clients full access to their backups, so even in the case of simple human error, old data can be restored with just a few clicks! All servers from CanSpace are powered by entirely by 100% Canadian-generated green energy. Power comes directly from the Beauharnois hydroelectric generating station in Quebec, Canada. The datacentre was also architected to not use air conditioning, instead using proprietary cooling technology developed in-house. What does this all mean for web hosting clients? 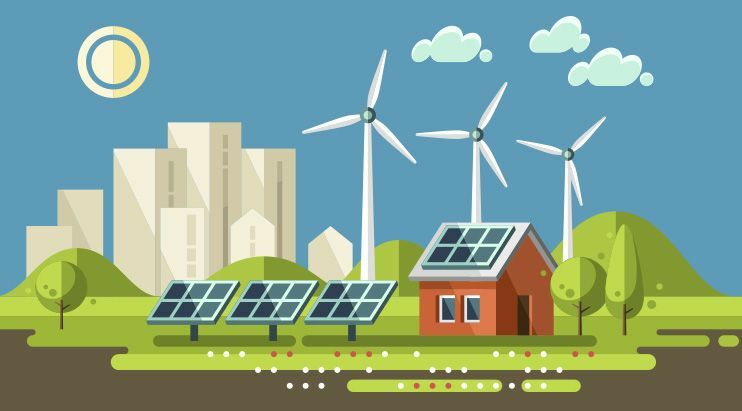 It means that in addition to supporting the Canadian energy sector, by choosing CanSpace you are also choosing to have a green carbon footprint. Feature-packed web hosting plans with tools to build your website, and provide speed and security. CloudFlare Premium Partner - use free CloudFlare accelerator services (included free with all web hosting plans) to turbo-charge your website loading time. Unlimited support - we are here to help! What hosting plan should I choose? For simple sites or personal blogs, our Starter plan is usually sufficient. For more dynamic sites (ie Wordpress-based sites) we would suggest our Medium plan for the higher resource allocation. For sites where e-commerce will be conducted or user data will be collected, we suggest our Professional plan for the included SSL which is a necessity for collecting user data. All of our hosting accounts come with a variety of free options for building your website. Our free site builder (rvSiteBuilder) is usually a good place to start and is great for building simple sites with your company information, services, a contact page, etc. There are hundreds of free templates to choose from, so you are sure to find one that suits your vision. Our free script installer can also be used to install software like Wordpress, which you can also use to build your site. Wordpress is the most popular web publishing tool in use today, so there are literally thousands of free templates and tutorials available online for its use. Wordpress would also allow you to build more dynamic websites with things like image galleries, user forums, and other interactive features. We usually suggest our clients play around with the different included tools to find the one they are most comortable with. Can you migrate my site from another host? Yes! We provide free site migration services with all of our hosting plans. The process is quite straightforward and there would be no downtime whatsoever during the migration process. Once you've signed up for a hosting account with us, you can open a support ticket in our client area with the login credentials for your existing hosting provider and we'll take care of the rest! How is my website kept secure? All of our servers are located behind finely tuned, and actively monitored firewalls. Our firewall logs are monitored 24/7 for any suspicious activity, and server software is upgraded nightly to ensure any potential exploits are closed immediately. We also provide our clients with a web application firewall (WAF), based on regularly updated OWASP rules. This prevents against hack attempts to software like Wordpress, Joomla, and even custom software - even when not properly patched. Just another added benefit that CanSpace makes available to its clients that most web hosting providers do not. All of our email servers are also accessible securely through SSL. This includes both our IMAP and POP servers, as well as all our included webmail clients. Can I host multiple domains under one hosting account? Yes! Our Starter plan supports up to 5 domains, and the Medium and Professional plans support an unlimited number of addon domains. Each domain functions as a completely separate site with its own web content and email addresses! Yes! All prices are always in Canadian dollars, and we bill only in Canadian dollars. Can I upgrade my plan at a later point? Yes - you can upgrade plans at any time! Upgrades are done on the fly, and there is no downtime at all. Upgrade prices are pro-rated, so you only pay the difference between your current plan and the plan you are upgrading to. All of our servers are located within Canadian borders, and all data is always stored within Canada, and subject only to Canadian laws. New accounts are deployed to our newest servers in Beauharnois, Quebec, which are hosted in a 100% green datacentre. All our hosting accounts come with multiple methods to access your email accounts. You can connect via your favourite email client (ie Outlook) using the industry-standard IMAP or POP protocols, or you can access your email via our included web-based email clients. All accounts are backed up nightly and generally a week's worth of backups are retained. Clients are also free to use their cPanel control panel to make automatic backups that they can have uploaded off site, or emailed to them. What control panel software do you use? At CanSpace we use the industry standard control panel - cPanel. And as with all software on CanSpace servers, the cPanel version is updated on a nightly basis. Unlike other hosting providers, we leave all features enabled - including the backup features. This allows you to easily transfer to another hosting provider if you wish - but we are so confident in our services we don't think you will ever make that choice! Unlike other hosting providers we do not use proprietary software or go out of our way to lock our clients in. Web hosting is essentially the service that allows your website to exist on the internet. It includes everything that makes up the building blocks of your website, such as web resources, applications and documents, plus the content of your site like the text and images, which are stored on powerful computers called servers. These physical servers are located in specially designed facilities called data centers. When you buy hosting, you are effectively renting space on a server so that your website can be viewed on the internet. When someone types in your domain name or clicks on a link that leads to your website, a request will be sent from their computer to the server. The server then responds by delivering the pages of your website to the visitor via their web browser (for example Chrome, Safari, etc). Nowadays, web hosting has grown from being merely rented server space for your website, and has evolved into a comprehensive service offering email, website building tools, SEO tools, 24/7 support and more. One of the most fundamentally important factors in the success of your website is the hosting that you choose. Finding the right hosting can be a daunting task though, especially if you are not familiar with the labyrinth of options available and the jargon used. The following section should give you all the information you need to allow you to make an informed decision and choose the best Canadian web hosting for your website. 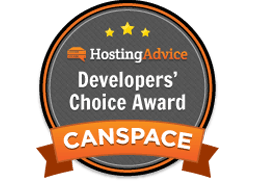 Join Canada’s largest corporations in trusting your website to CanSpace's award-winning web hosting. 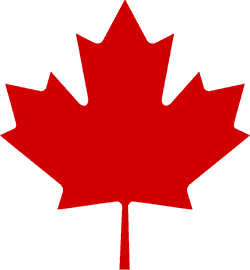 What types of Canadian web hosting are available? There are several types of web hosting available to meet the needs of different websites, offering varying levels of performance, scalability and expertise needed on your part. As the name suggests, with shared hosting, your website is located on a server with other websites. Exactly how many depends on the hosting provider, but it’s not uncommon to share a server with dozens of other sites, possibly even hundreds. Sharing in this way allows hosting providers to spread the costs of running the server between many parties, making it very affordable. Some providers oversell their servers, hosting more websites on a server than it is capable of handling. At CanSpace we monitor our servers very closely to make sure this is never the case! The only downside to shared hosting is that because the server is shared, so are its resources such as CPU, RAM and hard drive space. As there are only a finite amount of resources, if other websites on the server are consuming a lot of its processing power, your website can slow down as a result. CanSpace uses specialized tools like CloudLinux to avoid scenarios like these - ensuring that your site is always running full speed, regardless of your neighbours. You should also consider how quickly you expect your website and its traffic to grow; shared hosting plans often have lower limits for resources such as disk space and bandwidth when compared to VPS and dedicated servers. Shared hosting is generally ideal for startups, sites that don’t get enormous amounts of traffic, and those without massive budgets, as the costs are low and affordable. In addition to this, there are very few options in terms of server configuration, so you are free to concentrate on building and running your website. Setup is also taken care of for you. VPS Hosting is the middle ground between shared hosting and a dedicated server. Although VPS hosting still utilizes a physical server, the way it is configured is very different. Resources such as RAM, CPU and other data are exclusive to each user on the server through the use of separate virtual machines. If one website on the server exceeds its quota, that website may slow down, but the others will be completely unaffected. The main advantage of VPS hosting is that you have full root control over your own system, and it offers better performance than shared hosting. In addition, you have more flexibility in terms of customizing your environment, as any changes you make to the server do not affect your neighbors. VPS hosting also offers scalability, as resources can easily be increased when you reach the point that you need more. The only real disadvantage to VPS hosting is that it costs more than basic hosting options, such as shared hosting. However, if your website reaches the stage where you need this type of hosting, there is a good chance that you will be able to balance the extra cost against the income generated by your site. Bear in mind that with more flexibility in terms of server configuration comes an increased need for knowledge or experience to manage the server. All CanSpace packages are managed however, so you can focus on your site and let us manage your server. This option is perfect for medium-sized businesses and sites that have outgrown shared hosting. At the top end of the spectrum, you will find dedicated hosting. Exactly as it sounds, dedicated hosting means that you have an entire physical server all to yourself. The biggest benefit of this type of hosting is that your website does not have to compete for server resources with any other sites. It also comes with a much higher degree of flexibility and customization. You may even be allowed to choose your own operating system and hardware. Dedicated hosting does have some downsides. Of course, it comes at a cost; having your own server is the most expensive option available. However, if you need this type of hosting, it is likely that your website or business is generating enough income to support it. Also some providers leave you to manage the server software and configuration. At CanSpace however, everything is managed by us. Dedicated hosting is best suited to high traffic websites, and those who have a specific need to control aspects such as server hardware or privacy of information. Another choice you may be faced with is whether to use Windows hosting or Linux hosting. While it is entirely feasible to build and run your website without knowing which operating system your server is running on, you may like to make the decision yourself. Linux is by far the most popular choice of operating system and is the common operating system used in shared hosting environments. It is renowned for its stability and security, and can be widely adapted. As it is open source and free to use, it is often the cheaper option, as hosting providers are able to pass on cost savings. The only real downside to Linux is its learning curve, though if you have the inclination to learn, or already have the experience, it is a great option. Please note that since CanSpace offers managed hosting plans, you will not have to deal with Linux at all. Broadly speaking, Windows hosting is geared towards websites that use Windows as the server’s operating system and offer Windows-specific technologies such as ASP, ASP.NET, MS SQL, FrontPage and Access. The main advantage of Windows is that it is easier to set up and configure than Linux. It is also the obvious choice if you are going to develop your web applications with the .NET framework. The only negative is that while Windows does not specifically have any issues in terms of security or stability, it is not considered to be at quite the same level as Linux. All servers at CanSpace are runnig Linux, and we do not offer Windows hosting at the moment. What are the advantages of choosing web hosting in Canada? It is ideal to host your website in a data center that is geographically as close to your target visitors as possible. The reason for this is that location has an impact on latency and transfer speeds. Therefore, the closer your website is to your visitors, the faster it will load. As well as improved user experience, page speed is thought to have an impact on a website’s SEO, affecting where your site is displayed in search engine results. If your website is aimed at attracting Canadian visitors or customers, then your local Google ranking will be significant. It is believed that Google prioritizes results from Canadian websites when search queries are entered in Google.ca. Google uses your website’s domain name and IP address to determine where your website is located. By choosing Canadian web hosting, you are more likely to receive a higher ranking by Google in its search results, meaning a huge impact on your traffic, and ultimately your income. If you have a choice between hosting your website in Canada or hosting it in the United States, you should be aware of the differing privacy laws that affect each country. The United States have passed numerous bills and acts that allow free access to personal information. In particular, if the U.S. government suspects an individual or business to be a threat to America, The Patriot Act and DMCA (Digital Millennium Copyright Act) allow them to legally access and monitor the data of those individuals or businesses, if it is hosted or physically located in the United States. Canada, by contrast, has strict laws when it comes to privacy and freedom of access to personal data and information and at CanSpace we are not subject to US laws at all. What should you consider when choosing domain hosting services? There is no shortage of providers offering domain hosting services and it can be difficult to choose between the packages available, yet selecting the right provider and package can be pivotal to the success of your website. With a little research and considering the following points, you can avoid making the wrong decision. How many websites you will want to host: Some providers support more than one domain on the same hosting account. At CanSpace all of our plans support multiple domains under a single account. How much traffic you are likely to have: This will help you to determine the level of resources you need, such as bandwidth and storage space. Your future growth plans: Does your provider and package allow you to scale up if necessary? Does your provider allow you to search domains names and add them to your hosting plan? At CanSpace we offer multiple growth options and always help you through the process. The speed at which your website loads affects both user satisfaction and SEO. Research shows that users are more likely to abandon a slow loading website, costing you potential customers and readers. In addition, page loading speed is a factor in where your website ranks on Google. While there are tweaks you can make to your website to make it faster, if the server it runs on is slow, you will always be fighting a losing battle. Similarly, you want your website to be online as much as possible. At CanSpace we aim for 100% uptime, as we know that your website is the backbone of your brand. Customer support is one of the foundations of a good web host. Whether you just need a bit of help setting up your website or in-depth support if something goes wrong once it is live, you want to know that assistance is on-hand. Check what support channels are available, such as telephone, email, live chat, forums and when they can be reached. Some web hosts offer support 24/7, 365 days a year, whereas others may only be available during business hours, which isn’t ideal if your website is down and you’re losing visitors. Security is an important consideration for any website, but even more so if your site will be handling sensitive information such as customer data and credit card details. Check whether your host uses firewalls to monitor for and prevent attacks before they can occur, and whether they are proactive in monitoring their servers for unusual activity. Some web hosts offer safeguards such as SSL (Secure Socket Layer) to encrypt and protect information as it is transferred across the web. All accounts with CanSpace come with SSL. Many web hosts offer extra features such as email hosting, SSL certificates and one-click installation for popular applications like WordPress. Some also offer daily backups of your account, so that it can be recovered if you make a mistake or something goes wrong. At CanSpace we offer all of this, and much more! Reliability and reputation are important factors when comparing web hosts. Search for reviews of potential hosts to get a feel for the experiences that other users have had. If you find lots of the same issues or persistent complaints cropping up, this may be a red flag. You may also be able to see how the company deals with complaints or whether they respond at all. It is wise to compare prices, but with web hosting, the old adage “you get what you pay for” holds true. The cheapest option is not necessarily the best if you are left struggling with slow servers, unacceptable downtime and bad customer service. Beware of introductory prices. While they may appear cheap to begin with, you may pay more in the long run when the introductory period expires and prices revert to normal. Also check what is included and what will be charged as an add-on. Email hosting, for example, is included as standard in many packages, but some providers may charge extra for it. At CanSpace our prices are always transparent, and do not increase during your renewal! Now that you have all the information you need to choose the right web hosting for the individual needs of your website, take a look at our affordable, secure and easy hosting packages. As the leading Canadian web hosting provider, you can rest assured that your website will be in safe hands with CanSpace. We are the experts in Canadian web hosting, and all of our services are backed by our industry leading support. Find out why CanSpace has been trusted by Canada’s largest corporations for over 10 years.